The Dopecoin (DOPE) team is pleased to announce the official public opening of the 2nd Round of ICO Funding for its sister project: The Smoke Exchange (SMX). The 2nd Round of ICO Funding will be open from December 22, 2017 until the launch of the Public Beta of the Smoke Exchange advertising platform in Q1 2018. The second round of ICO funding will allow investors to participate by using any of the following cryptocurrencies: Bitcoin (BTC), Bitcoin Cash (BCH), Litecoin (LTC), Ethereum (ETH), Dash (DASH), or DopeCoin (DOPE). Each SMX token will be valued at $1.10 USD. Whichever currency investors choose to use in order to secure their investment will be automatically converted to USD with the coinmarketcap.com API every 5 minutes. There will be a 10% bonus in token distribution for investors who choose to use DOPE to secure their investment in the ICO. Once orders are successfully confirmed on the blockchain the tokens will be manually distributed every Tuesday and Friday. PLEASE NOTE: DO NOT enter an exchange address to receive your SMX tokens or your tokens will be lost and unrecoverable. You must use an ERC20 compatible wallet such Mist, MetaMask, MyEtherWallet, or Ethereum Wallet. Every time SMX tokens are used on the advertising exchange 5% of the balance deposited will go to a burn address and will be eliminated from the total coin supply until only 50% of the original SMX token distribution remains. The token burning is designed to rapidly increase the rate of price appreciation for each token. The Smoke Exchange team has decided to implement this feature as an incentive to reward ICO investors and early adopters. 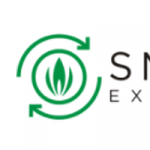 “The Smoke Exchange will deliver a revolutionary self-serve advertising platform specifically designed to benefit the currently underserved and ever expanding legal cannabis market worldwide. Its implementation will represent a digital marketplace that will enable advertisers and publishers to buy and sell advertising space on a real time auction based bidding platform. 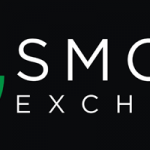 Please visit smokeexchange.com for complete details on the project and to read the white paper. Currently, the SMX tokens from round 1 of the ICO funding have been released to investors. SMX tokens have not yet been listed on any public exchange. Tokens are now available again to the general public again during the second phase of ICO funding (without the bonuses offered to those participated in Round 1) from December 22, 2017 until the Public Beta release and exchange listing of The Smoke Exchange scheduled for Q1 2018.